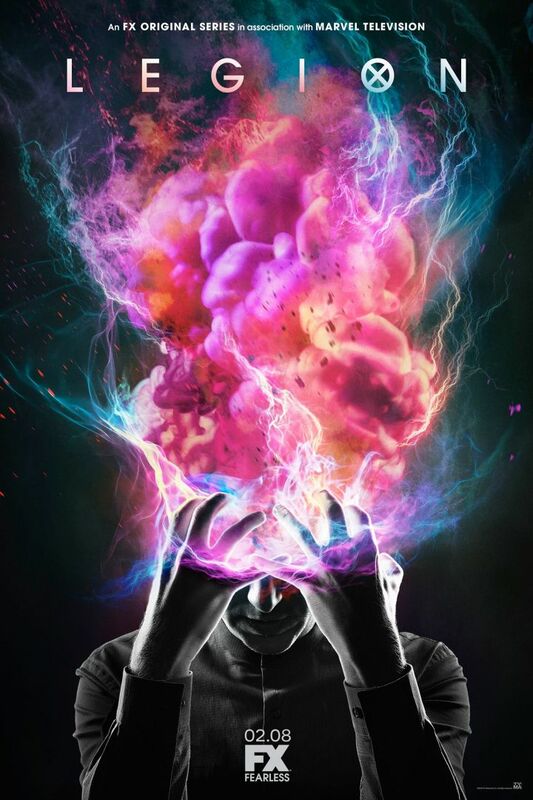 Newish series on FX. Noah Hawley sort of does with this X-Men spinoff story what he did with Fargo. I absolutely loved the premiere. There were 2 or 3 times when I rewound a scene just because I immediately wanted to see it again. An intensely beautiful and artistically exciting episode of television. Then there is a precipitous decline. The problems are already clear in Episode 2 but become glaring in Episode 3, bleeding into 4. The horror scenes still work, and some images are still brilliant and interesting. But the writing gets lazy. The early childhood flashbacks, for example, are little more than a collection of cliches. Frolicking in a field laughing (which we see so many times), mother marking his height on the door frame. Really, that's the best you can do? The exposition gets very bad, too. Episode 4 has some of the worst. They basically do a record scratch and stop the episode to explain the Kerry/Cary thing. Then, in a scene a couple minutes later: "It still amazes me how she only ages when she's outside your body." I cringed so hard. What a dumb way to insert exposition. "It still amazes me how..."
Worst of all is Rachel Keller. Starting with Episode 2, this is a profoundly uninteresting performance of a profoundly uninteresting character. The magic from the premiere is just gone. Absent better writing, Rachel Keller is just not prepared to imbue the character with anything special. Her acting worked wonderfully in Fargo, because that character was so specific. Here, you can tell she's just playing a version of herself. It's like a normal person is awkwardly taking up space in these scenes. So dull and distracting — especially when she occupies so much screen time. Still, I feel like I shouldn't take Legion for granted. I'm on Episode 4, so I'll guess I'll see if it rebounds. Episode 4 has been getting effusive praise, but I thought it was absolute garbage. (Except for Jemaine Clement, who was magical.) Really starting to feel like the emperor has no clothes. The tacked-on narration beginning at 32:00 is deeply embarrassing. It's another poorly-written exposition insert (except we learn nothing new) executed with garbage acting. You're in a voice booth, and that's the take you went with? I guarantee at least one FX executive at this point in production considered replacing Rachel Keller but decided reshoots would be too expensive. The actress who plays Kerry can't deliver a single line properly. She also has this weird panicked look on her face the whole time, like she has no idea what her character's motivation is. The aforementioned backstory insert (18:28) is a trainwreck. I'm not sure she can execute an action scene, either, because when her big moment arrives, they immediately cut away, go to slow motion, and only show us glimpses. There are hundreds of actors who could have performed this role competently — I am utterly confused. What happened to the mutants who have actual useful powers? Remember the super powerful telekinetic guy who effortlessly threw boulders (and people) around at the end of Episode 1? He is just not there anymore. And whoever performed pyrokenesis above the swimming pool is also gone. They had so much firepower for their rescue mission, but now who do they send? The memory artist (who is basically defenseless) and a mediocre fighter who appears to have no actual enhanced fighting powers. Those are just some examples. This show has shat the bed and needs to do a lot to recover. -Glad to see someone else watching this show! -If you're considering watching this show, don't let JB's posts discourage you. Give it a shot. -But I do agree with some of JB's comments. This show definitely has a problem with delivering information in big clunky data dumps (especially in episodes 4 and 5 (so far)). -Despite that, what a highly rewatchable show. It's got a very fresh vibe that I appreciate. Even when it's not making sense it keeps you engaged. -The things that seemed cliche' may every well be on purpose. We're dealing with an unreliable narrator with unreliable memories. -Ultimately this is another fun mystery show... i think. ...Basically I like the style of the show and I'm holding out judgement til I see where it's going. And you should too! okay, posting this without proofreading incase the power goes out. did anyone watch this? it's pretty fun. Actually just finished re-watching Szn 1 a week or so ago. I have many, many thoughts about this show, and some of my ideas about its Dialectic take on Perspective can be read in this bloggo'd essay. Don't read until you've seen up 'til episode 6, as it does have a few spoilers. My favorite Marvel Anything. It's pulpy, heady, and faithful to Chris Claremont's (significant) additions to the Marvel-verse. Josh Boone's New Mutants film has a lot to live up to. I was not as thrilled with the show, despite some very transcendent scenes. I just finished episode 4, so I'll read that later. despite its flaws, I still think it does a good job at being entertaining and feel more fresh than most marvel things. every episode has scenes or visuals ideas that I think are really cool and creative. My bias for this show comes from having grown up reading Claremont'z different characters. Legion and Magik, mainly. And, too, that I know a handful of Fargo fans and this show communicates to me his prowess for adapting long form narratives that they gleam from that one (which I feel just bites too hard onto the prestige biscuit).